Rodgers 60th Anniversary Celebration, Sydney, Australia! 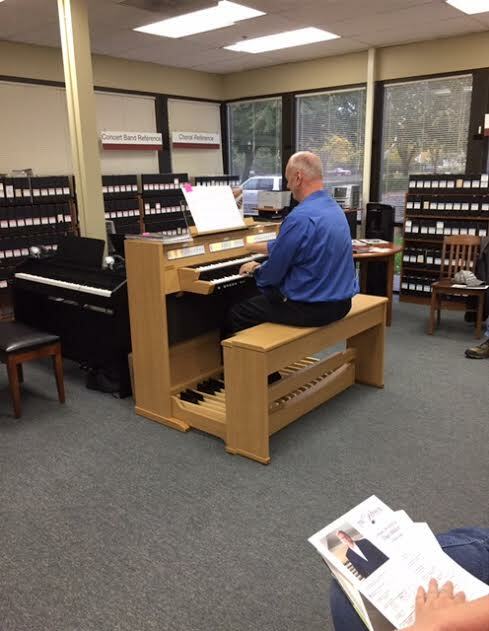 A look back at a wonderful event held in celebration of Rodgers Instrument's 60th Anniversary. 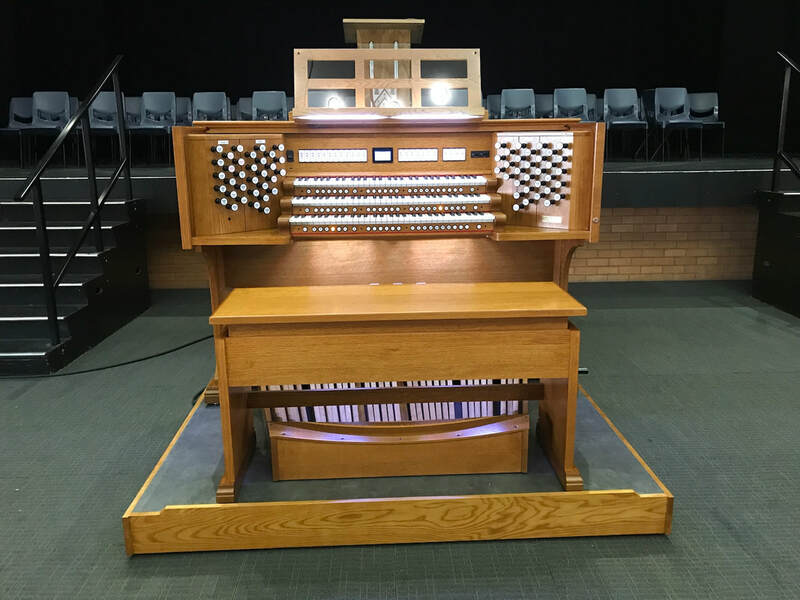 Rodgers Dealer, Principal Organs Australia hosted in cooperation with Rodgers Instruments, a notable lineup of international performers including; Dan Miller, Tony Fenelon, Alessandro Pittorino, Sean Henderson and the Scholars of the St. Mary's Cathedral Choir. The event took place in "The Piper Room" at the Ovola Hotel, Woolloomooloo, Sydney, and was highly praised by the attendees. Mike Flanagan's Passion for Creative Arts Comes Alive with a New Infinity Series Organ! Rodgers kindly thanks Mike Flanagan for his generosity and devotion to the art of Organ Music. Please enjoy the story below from Kings College in Auckland, New Zealand's newspaper called the Kings Courier. For Mike Flanagan (Peart, 1951–55), an Old Collegian and a supporter of the College for many years, the opportunity to donate [a Rodgers Infinity Series 361 Organ] to the upcoming Performing Arts Centre was a reflection of the passion he feels for the arts and the value he places on students having a creative outlet. As a previous ‘top of art’ student, Mike views this new venture by the College as a way for King’s to stay at the forefront of the education. For Mike, who had less exposure to the arts than King’s students do now, the chance to grow these disciplines is a perfect way he can give back to the College.“When I was at King’s, it was quite different. The only creative art we had was Glee Club and Big House!” Mike recalls that back in the 1950s, there was a tendency for blokes to see art as a period to muck around and have fun.” Though busy in his senior school years as captain of the boxing team, Mike found a creative outlet away from the ring, involving himself in the designing of the Glee Club set, alongside current Foundation Board member Peter Wilson, who was the Set Manager. “Peter would make the set and then I would go over each set piece and add the finer details,” Mike recalls. “Our involvement was all thanks to the Music Director at that time, Lyn Saunders, who encouraged us to pursue the creative arts.” In order for students to build a successful career, Mike believes they need to harness creativity in an appealing way. “My hope is for the Performing Arts Centre to become a haven for students to create and learn - and to develop the skills needed in life after King’s.” Mike is also passionate about the organ and has donated a Rodgers Infinity Series 361 organ which will be housed in the Great Hall where full school Chapel services are now held each week. Furthermore, Mike has also donated his mother Maisie Flanagan’s Everard Grand Piano to the Music department. The Infinity Series 361 organ features 3 keyboard manuals with lighted or optional mechanical drawknobs. 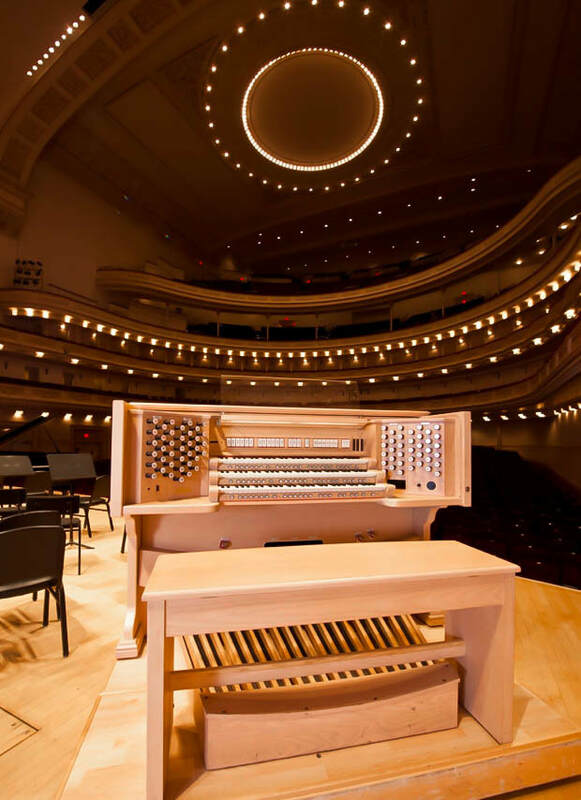 Rodgers’ unique high-resolution sampling process employs up to 8 microphones to record the authentic sound from legendary pipe organs across the country as well as around the world. The Infinity 361 also features built-in Bluetooth® technology for AirTurn™ hands-free page turning controlled by thumb or toe pistons for music displayed on a mobile device. A special thanks to our certified dealer for New Zealand, Ralph Cullen of Keyboard Music Systems Limited for his continued excellence a professionalism in representing Rodger organs. 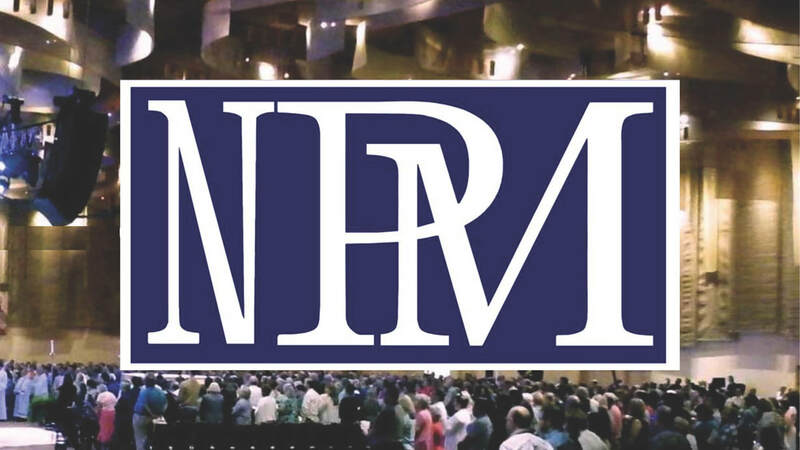 Rodgers will be Exhibiting at the 41st NPM Convention! Rodgers Instruments is proud to announce that we will be exhibiting at the 41st National Association of Pastoral Musicians Convention in Baltimore, MD, on July 9-13, 2018.Rodgers will be celebrating its 60th year in business by showcasing the new Rodgers Inspire Series model 227 and model 233 organs, and a 3-manual Rodgers Artist Series 599 organ equipped with 39 main stops and 282 total voices. We are also proud to provide a large 4-manual Infinity Series 484 organ for the main NPM worship venue. The 41st annual convention will be held at the Baltimore Convention Center in a charming and easily accessible area of the city that is conveniently located three blocks from Baltimore Inner Harbor attractions. 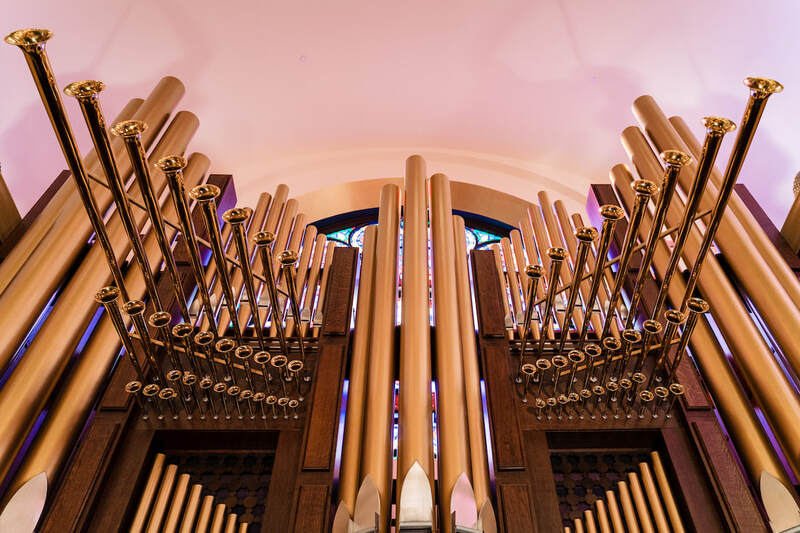 Rodgers Instruments is pleased to announce the new installation of a stunning Rodgers 3 manual Artist Series Organ at Hong Kong Shamshuipo Tsung Tsin Church, established in 1897. Located on Tai Po Road, the beautiful church was built on top of a hill. The congregation wanted an instrument that offered the finest pipe organ sound to serve its worship requirements. 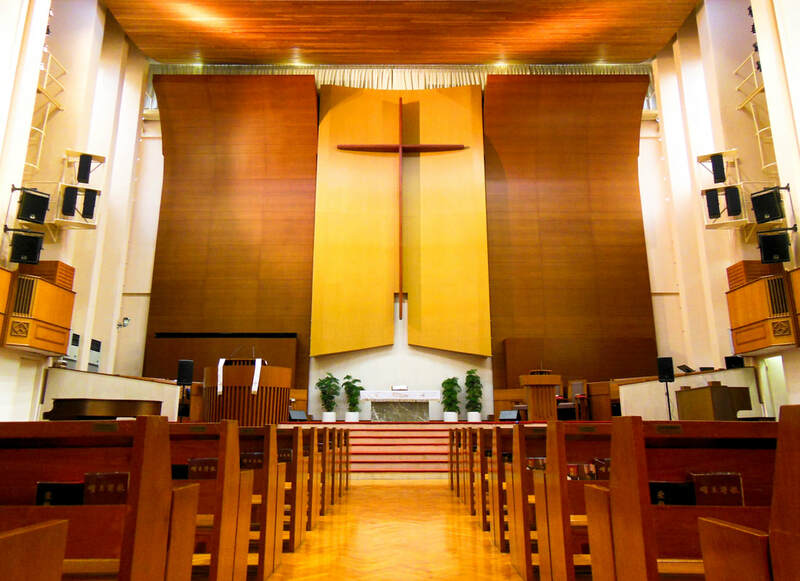 Rockson Organ Service Company, Rodgers representative for Hong Kong, was excited to guide this pristine church to find the perfect sound and fit for their majestic location. The Rodgers Artist Series 599 is indeed a perfect choice for them. 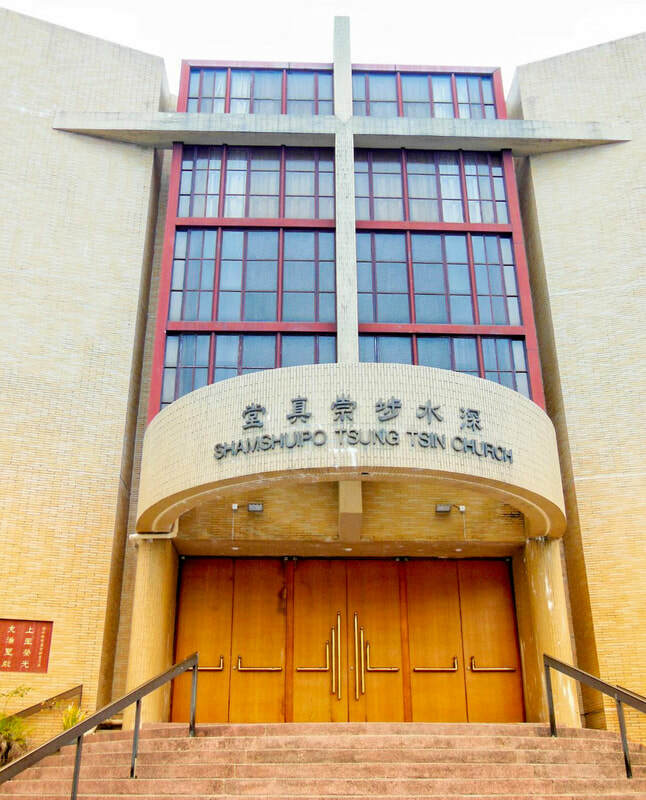 The Hong Kong Shamshuipo Tsung Tsin Church is excited with both the flexibility of the instrument, including the extensive library of organ and orchestral sounds that can be played from any division of the organ, as well as its rich sound qualities. The Artist Series 599’s 282 total voices are derived from Rodgers high-resolution sampling process which employs up to 8 microphones to record the authentic sound from legendary pipe organs around the world. 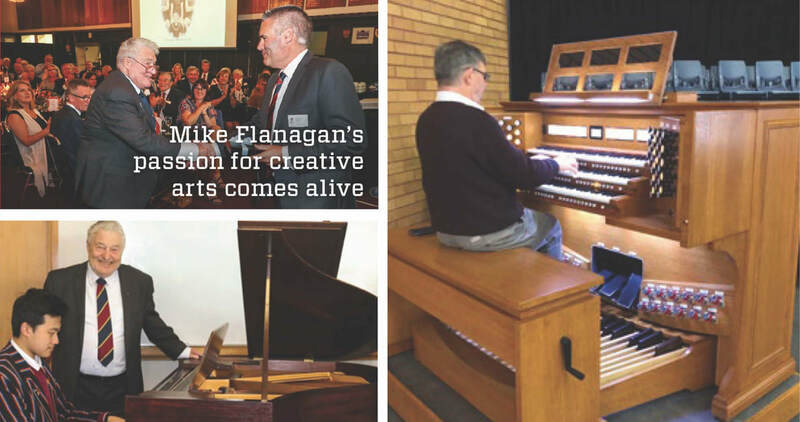 Dan Miller Traveled to Several Australian Cities to Celebrate Rodgers Organ Installations! 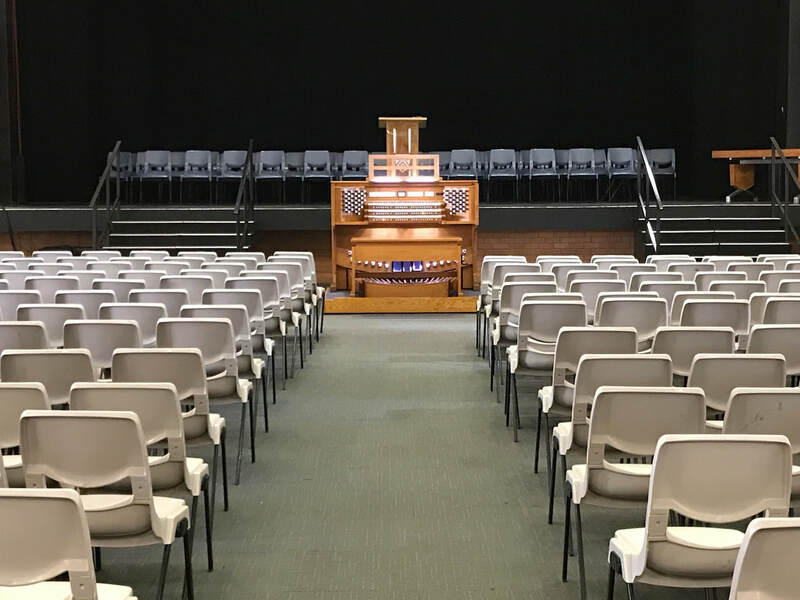 Dan Miller recently traveled over 22,000 miles to several beautiful Australian cities to celebrate Rodgers organ installations. The tour was expertly organized and hosted by Kerry Morenos, Rodgers representative with Principal Organs, Australia. All the events were enthusiastically welcomed and received positive and grateful comments. Highlights of the concert tour included playing the newly installed Rodgers organ for St Patrick’s Catholic Church’s Sunday Mass, followed by true Mackay hospitality with a morning tea, a workshop with music students from St Joseph’s Cathedral College, and a Brilliant concert at St Mary's Cathedral, Hyde Park, Sydney. Australia is nearly the size of USA. Dan flew daily to cities that were 750 to over 1,000 miles apart. 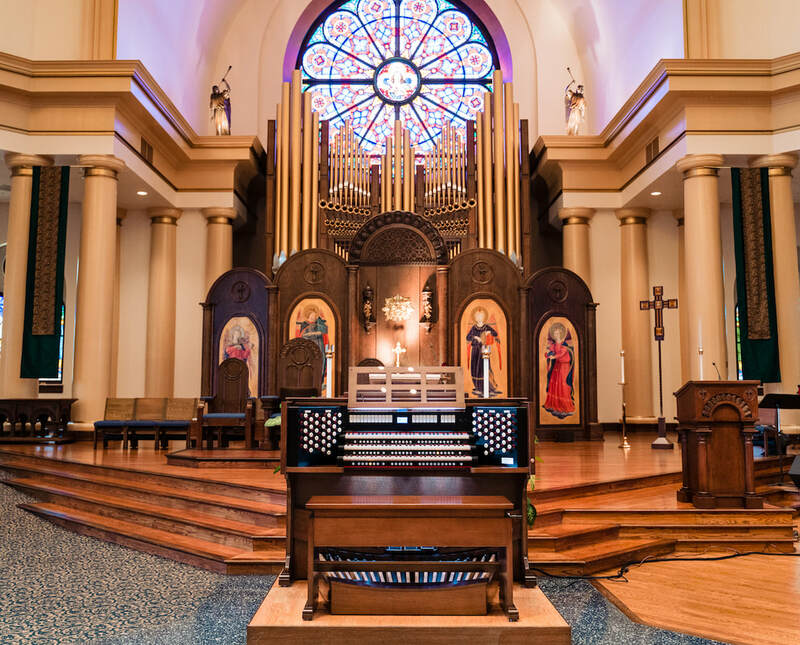 A Musical Blessing at Jerusalem Lutheran Church with a New Classic Series 559 Organ! 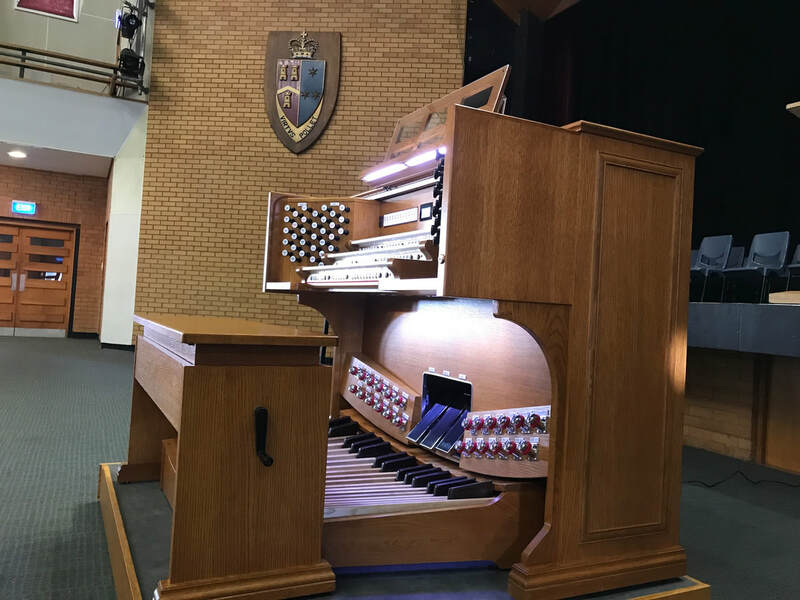 Jerusalem Lutheran Church, Collinsville, IL, was recently blessed with a new Rodgers Classic Series 559 organ, made possible with the help of a generous donation from Angel Donors. Continue Reading Here! Rodgers Expo at Music China 2017! Discover the latest products from the world's biggest and best-known music companies, including the Rodgers Infinity Series 361 and Artist Series 599 organs at Music China 2017! Continue Reading Here! 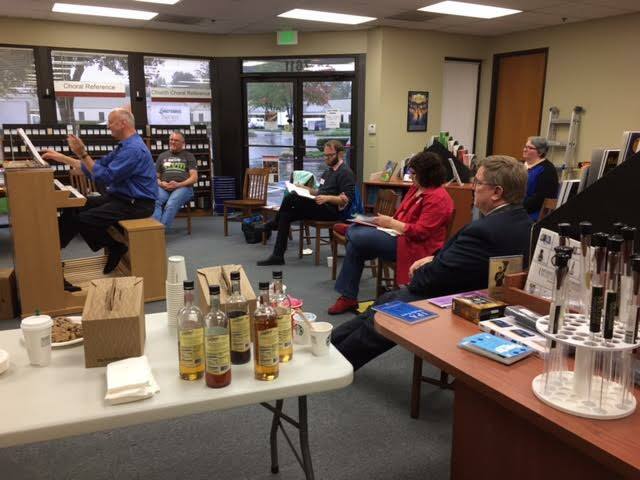 On Saturday, October 15th, we hosted Dan Miller as he lead us through a productive and educational workshop.Stay tuned for more up coming workshops.